Nowadays, smartphone cameras are getting better and better. With high pixels and greater lens quality, taking pictures have never been that easy and swift. Obviously, we are in the world of photographs, where people are getting addicted to selfies and Instagram and with a little bit of effects, one can painlessly revamp his/her picture to look more attractive. But we all know that we can’t simply post a picture on the internet without editing right? 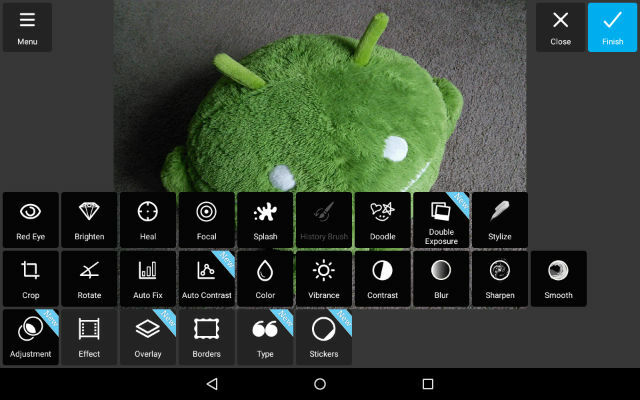 So keeping that in mind we present to you the 5 best photo editing apps for your Android phone. Snapseed by Google is undoubtedly the best photo editor for serious photographers. Its gesture enabled editing and a variety of tools helps us get a detailed and professional result. With Google Snapseed, you have full control over editing and you can make the image look exactly like you have imagined. Saying all of that, it might take a little time for you to get familiarized with the interface and the tools, but trust me, its worth it. Are you a selfie addict like me ? If you are, then this is the app for you. Dubbed as the best selfie editor in the market, Airbrush is shockingly easy to use and produces amazing and natural results. It is great for quick fixes and edits made to your face and skin in the selfie. It can whiten your teeth, make your eyes look brighter, remove blemish and much more. With a 4.8 rating on google play, it’s a fan favorite. PicsArt is the best app out there for general, non professional use. It comes with a host of tools, although not as much as Snapseed. But it certainly fulfills the purpose it was designed for and that is to provide a smooth and addictive photo editing experience to general public. It provides a lot of creative control over the editing process and lets user take the driving seat. With an average rating of 4.5 on Google Play it is doing pretty good among those 6.9 million users. Pixlr is another easy to use yet very customizable photo editor tool. It features a variety of filters, borders, stickers and comes with an amazing collage tool. Despite it being good, It can be a little complicated than PicsArt but when it comes to results, you can’t really tell the difference. Although if you are aware of the photo editing process and know your tools very well, then Pixlr will be a great treat for you. From the company that gave us Photoshop, comes this incredible photo editing app. It supports RAW files as well as JPEG and PNG formats. It also has a host of tools and filters which are easy to use and provides great photo editing environment. Although, if from the name you are expecting that you would get an Adobe Photoshop type experience, then I am sorry, that’s not the case. The simplicity of the application may have affected the versatility of the available tools and the creative freedom, but it still is an amazing tool if you want a quick and simple editing experience. 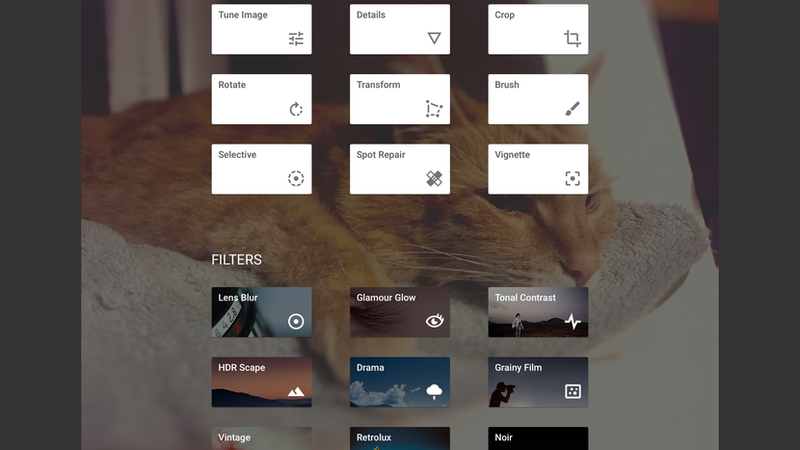 All these photo editing apps are unique, easy-to-use and was made for different type of audiences. Therefore it would simply be cruel for anyone to put a ranking on the list. If you are a professional photographer, go with Sanpseed and if not, try out the others and see which suits you best and don’t forget to share the list with your friends and family, and tell them about these 5 best photo editor apps for android.